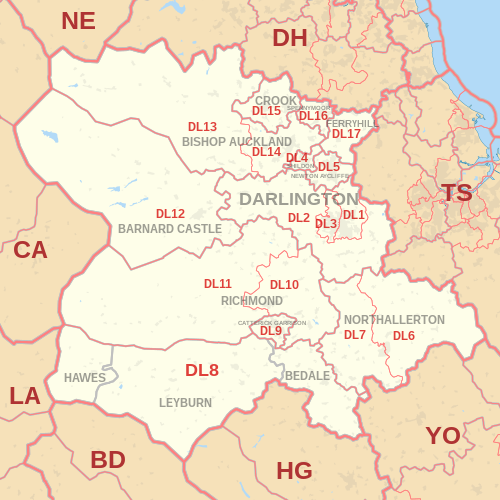 The DL postcode area, also known as the Darlington postcode area, is a group of postcode districts around Barnard Castle, Bedale, Bishop Auckland, Catterick Garrison, Crook, Darlington, Ferryhill, Hawes, Leyburn, Newton Aycliffe, Northallerton, Richmond, Shildon and Spennymoor in England. 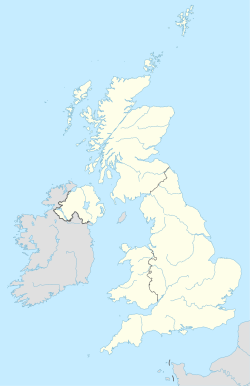 ^ "New sectors and localities to 17 August 2012" (PDF). Royal Mail Address Management Unit. 17 August 2012. Archived from the original (PDF) on 16 September 2012. Retrieved 21 August 2012.